Ayurveda has a 5000 year old tradition of cultivating health and wellness. Based on the principle that three natural forces reside in the human body: Vata, Pitta and Kapha. When these doshas are in balance, we enjoy health and harmony. Effective therapeutic treatments are employed to release blockages so that Qi – the basic energy of life – can flow freely again. To offer guests a truly authentic experience, Ayurvedic treatments take place in the resort’s own Ayurvedic temple, designed and built by Indian craftsmen. Originating in Kerala, the ancient Indian philosophy and holistic approach of well-being known as Ayurveda means “the art of living wisely.” At BodyHoliday Saint Lucia, the art of Ayurvedic therapies – including a range of massages and facials using warm oils and time-honoured techniques – are offered to revive the body, calm the mind, bring balance, and are tailored to suit each guest’s individual needs. This two handed Ayurvedic massage is a full body warm oil massage that benefits blood circulation and the lymph and nervous systems. 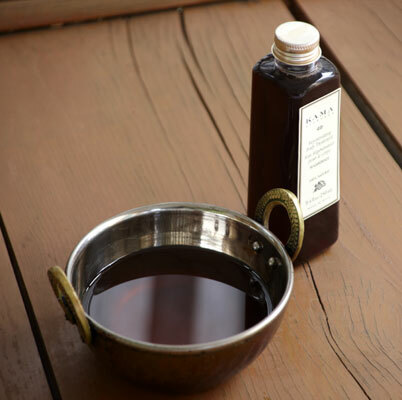 The oil and herb combination ensures a deeply relaxing treatment. Massage of feet, hands and reflex points with warm oil together with lymph draining of legs has an extremely soothing effect on the circulatory system. It strengthens the blood and lymphatic circulation in legs, thus effectively relieving fluid retention and tiredness in legs. Special massage movements activate energy flows in the internal organs thus promoting balance and well being of the whole body. The massage is strongly recommended for diabetics, chronic smokers and other circulatory disorders causing swelling. This massage is suitable for any of the three doshas. The massage technique depends on the health problem being treated, often being pain arising from the neck and lumbar area. The massage helps to alleviate pain, soften the muscle, boost the nervous system and relax tension as well as exerting pressure on specific points along the spine to improve breathing function. This is another very traditional massage technique that uses a warm muslin bag containing organic herbs. There are 3 massages to choose from – Rejuvenation, Detoxification and Panacea for pain. This treatment can be preformed by a single practitioner or done in synchronization by two. A powerful oil based massage system principally applied with the bare foot, although hands are used for the finishing touches. This ancient system of massage involves a high level of skill by the practitioner. Intricate footwork sweeps, kneads and frictions the skin and connective tissue that supports the muscles, organs and energy pathways (meridians). This is a very popular therapy at The BodyHoliday as it is designed to relieve tension and stress in the head, face, neck and shoulders leaving you totally relaxed! Originating from a martial art technique, this involves a deep tissue massage that uses all 108 Marma points in the body to invigorate the body. A fabulous combination treatment that begins with a massage on key body pressure points to drain mucus, followed by steam inhalation using herbs and oils. If you feel that life is too fast and constantly draining you of your energy causing anxiety, exhaustion and fatigue, then this is the perfect antidote. ‘Dosha’ specific oil continuously flows onto the ‘third eye’ bringing tranquility and clarity. An amazing treatment. This is a powerful detoxifying technique that uses organic herbs combining massage, exfoliation and a full body wrap. It will leave you feeling nourished and cleansed. This treatment can be preformed by a single practitioner or done in synchronization by two. If you are suffering from certain spinal conditions such as degeneration and inflammation, then this technique may be perfect. Your practitioner will make a circular bund on the affected area that is filled with hot medicated oil to relieve aches and pain. We use unique blends of herbs and oils that are premium grade organic products in all of our treatments. The products are called KAMA and are produced traditionally in India. The botanical oils and tinctures we place on your face are also edible and have positive effects of being anti inflammatory and preventing aging. A massage of the back where the practitioner first focuses on meridians running along the spine and then begins to massage it with warm oils. Pitta oil is used for this purpose as it relieves pain and decreases the level of lactic acid in the muscles. This is followed by a massage of the whole back using warm bundles of herbs with special focus on the affected area of the back. This Ayurvedic Abdominal Massage is a perfect detox treatment. The abdominal area is where the digestive fire is located and a healthy agni governs our metabolism, is vital to our well being and keeps us young and strong. Nabhi Abhyanga stimulates and regulates our inner digestive fire, toning the abdominal muscles. This massage helps with constipation, gas, bloating and reduces fat in the stomach.